Another Friday is here and we are combining FFF with the July Day 2 Preview. Today we are previewing "Birthday Bundle" providing you with some great go to images for all those birthday cards we make. The FFF challenge this week you need to find inspiration from one of the DT's amazing cards and CASE it - create your own project by being inspired by layout, colour etc of one of the cards. For my card for the July Preview I used the lovely cake, stamped it on watercolour paper then coloured with watercolour paints. I love the subtle effect watercolouring gives you. As always you have a chance to win this awesome stamp set. Be sure to let all the designers know how much you love their cards - we all appreciate a bit of blog loving now and then.. Once you have visited all the DT head back over to The Greeting Farm blog for your chance to win a Birthday Bundle set. You have until 11:45pm CST to enter. Winner will be announced on Monday with the next preview. Have a great weekend - get inky - and create! Gorgeous card! Delicious and elegant! Love your cas card using the new tgf stamp with no line technique, wow! 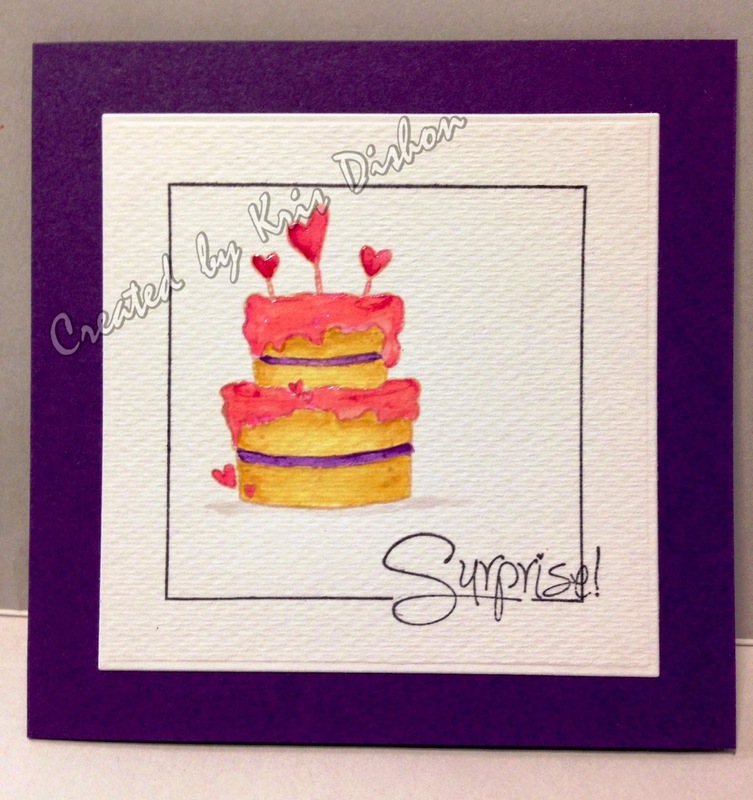 Lovely CAS card.. i love how you water colored it, very edible lols..
Love your watercoloring! Cute card! Your card is elegant. Thanks for sharing. Yummy! Great cake image and this card is cute! The Greeting Farm - Day 3 Previews!! !